To the late Willie F. Pritchett and Elizabeth Copes on December 17, 1963 in the High Ridge Community, Union Springs, Bullock County, Alabama. Karen was married to the late John Lee and to this union, two lovely daughters were born. Karen was was employed at Wayne Farms, Union Springs, Alabama, where she worked for twenty nine years until her health failed her. Karen was united in matrimony to Charles Edward Austin July 25, 2014 in Union Springs, Alabama. On Friday, July 21, 2017, she answered the master's call at her mother's home, and went home to eternal rest. 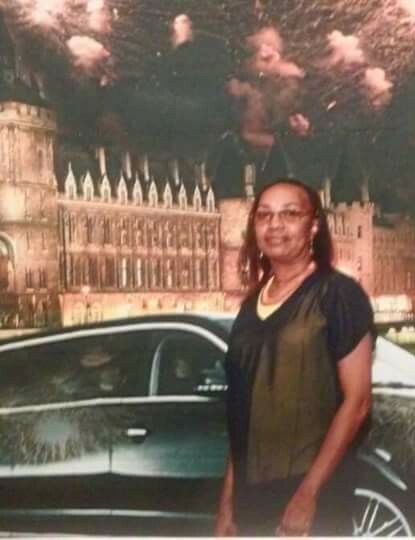 Karen Elizabeth Copes Lee Austin leaves to cherish her memories: Her husband, Charles Edward Austin; her devoted mother, Elizabeth Copes, who loved her dearly; two adoring daughters, Natasha Tramaine Copes and Ebonia Latoyia Copes. Seven (7) loving grandchildren: Deanna J. Harris, Marquaja T. Baynes, Ariah J. Baynes, Namyia D. Baynes, Aryah K. White, Danquereious D. Maddox and Ulyssia J. Anderson, (who preceded her in death); three (3) great grandchildren, Anyah D. Washington, Ja'Lyric L. Baker; Brothers, Edward Richardson, Michael (Valerie) Vinson, Johnny Pritchett, Calvin Surles, Moses Surles, all of Montgomery, Alabama; Robert Shell, Saginaw, Michigan; Sisters: Jennifer Richardson, Montgomery, Alabama; Virginia Bratchett, Cincinnatti, Ohio; Theresa (Billy) Brooks, Dayton, Ohio; Brenda Hamm, Dayton, Ohio; Freddie (Dural) Jones, Montgomery, Cynthia Vinson, Montgomery, Alabama; Voncile Jenkins (Montgomery, Alabama; Aunts: Isabella Bedford, Haines City, Florida; Zelma (Eddie) Weaver, Haines City, Florida, Louise (Clint) Webster, Haines City Florida; Clotete Johnson, Haines City, Florida; Mary Johnson, Saginaw, Michigan; One special aunt who helped to raise her, Wilgie Louise Copes; three (3) great aunts; Uncles: Freeman (Annie L.) Pickett, Union Springs, Alabama, Frazier Pickett, Union Springs, Alabama; one special cousin, who was an uncle to her, Henry Cope, Rochester, New York; a host of nieces, nephews, cousins; 36 great nieces and nephews; nine (9) brothers-in-law; and six (6) sisters-in-law.